The mission of the Meiklejohn Peer Advising Program is to select and educate peer academic advisors who will, in partnership with a faculty or staff advising partner, provide academic advice and counseling primarily to first-year students. Meiklejohn peer advisors meet with first-years both individually and in groups alongside their faculty advisors regularly over the course of the academic year. 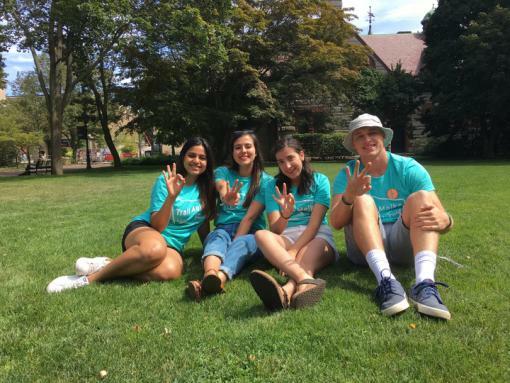 Meiklejohn peer advisors provide a student perspective on a Brown education, a perspective derived from their own experience, coupled with knowledge gained from their training. They recognize the need to be responsive to each advisee’s particular interests and desires and understand that education is a process of intellectual growth interrelated with the development of moral character. Meiklejohn advisors further the overall goal of enabling students to work towards a liberal education, the practice of self-reflection, and empathy for others.